Travelers interested in art, architecture, and history will love this tout of the Hermitage with an art historian guide. As well as touring the vast art collection in the former Winter Palace building, you’ll be told all about the historical and architectural significance of the surrounding buildings on your walk there. 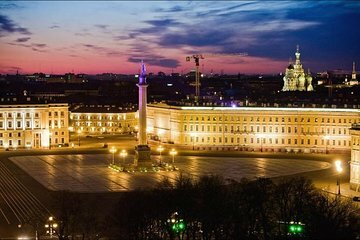 This is an ideal way to get the most out of a visit to the historical heart of St. Petersburg. Elena is a very informative and friend guide. She took good care of us and I highly recommend her. The art collection in the Hermitage is almost unbelievable ... spent hours with the French Impressionists with a knowledgeable guide who, in addition to knowing art, knew how the beat the crowds. A truly special day.